Hurricane Irma passed over the northern edge of Hispaniola September 7. The wake of destruction impacted countless homes along Haiti’s northern boarder, leaving families without basic food, water and shelter. Details are still being gathered in an attempt to fully understand the storm’s impact, but even the most conservative estimates indicate it may be years before this region resumes the life it once knew. 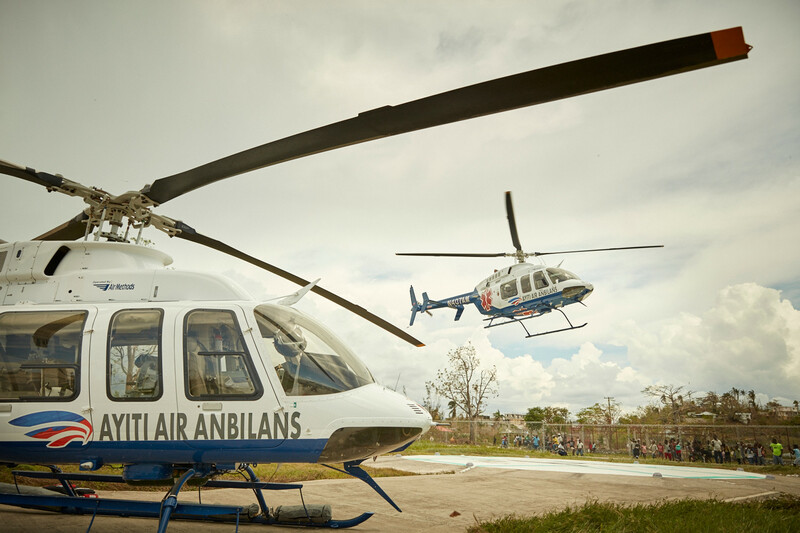 As a humanitarian organization, Haiti Air Ambulance is able to be a ready resource for bridging the gap between those facing life threatening injury or illness and the vital care they need. Hurricane Irma is the most severe storm to impact Haiti’s northern coast in decades. The effects of this natural disaster will be felt indefinitely, but Haiti Air Ambulance is ready to meet the needs of those effected most. Our state of the art helicopters, experienced crew and permanent base operations have been providing care since 2014 and we are prepared to continue providing this vital service. Our administrative costs are completely underwritten, which means 100% of all donations go directly to funding our programs. Haiti is a vibrant, developing nation of 10 million people just two hours from Miami, Florida. Yet this precious island nation is the poorest in the western hemisphere. The needs are great, but at this time they are greater than ever. Our sustainability relies in part in your generous donations. Help is needed in Haiti now and Haiti Air Ambulance is committed to supplying that aid. Your assistance will provide fuel for our helicopters, medical supplies and clinical care to those most impacted by Hurricane Irma. Please donate today, no amount is too small.